Personalized Media Clic™ BIC® Grip Ballpoint has comfortable, soft gripping section. 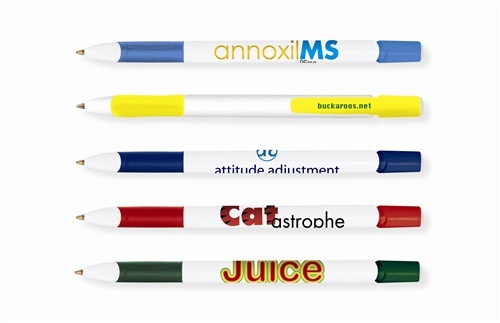 Promotional Media Clic Ballpoint is designed with click-action mechanism. 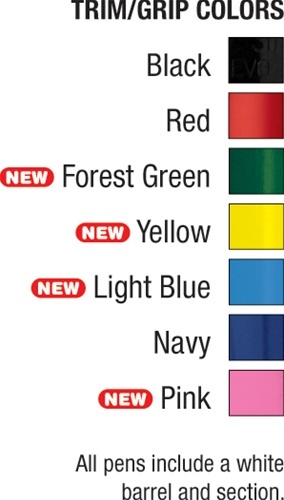 Personalized Media Clic™ BIC® Grip Ballpoint is available in 7 colors: Black, Forest Green, Light Blue, Navy, Pink, Red, and Yellow.